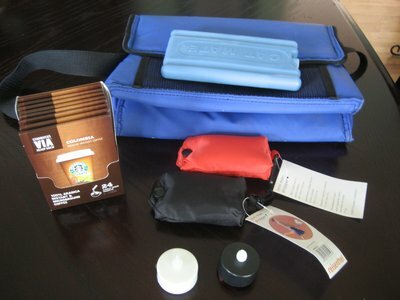 Here are some of the special things we're bringing along to help our 47 day journey! 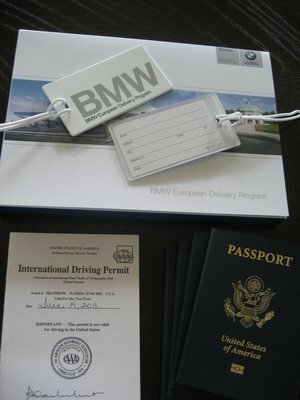 We're a little over 3 weeks from lift-off and have been busily making lists and purchasing special items. We both read a lot of travel blogs and guidebooks and although we plan to pack light, we think we have a few special items that will make traveling easier. 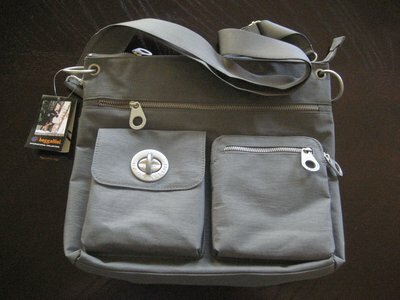 For instance, I bought myself this cute and functional Baggallini purse for Mother's Day. Love it! Since we're bringing along the 4 and 6 year old daughters, I have been strategically buying little things to pack away for the entire trip. I'm going to hide most of these things in various parts of the luggage. I love shopping for these spoiled girls! 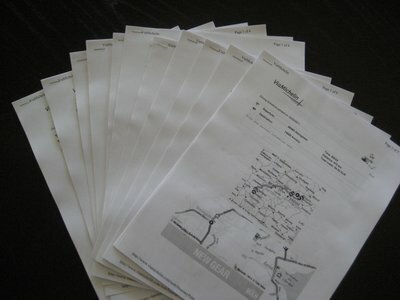 Even though our car will have GPS, I went ahead and printed maps from www.viamichelin.com. These maps are very detailed and might make the passenger (me, mostly) feel a little bit in control. I think it's important to have GPS back-up! Besides, I really love studying maps. My friends joke about my three-ring binder. It is coming together. I have a section for each location with researched attractions and restaurants. I'm not set on following every single thing. I just like to have options available. Tripadvisor has been invaluable for finding current reviews on restaurants and family-friendly attractions. 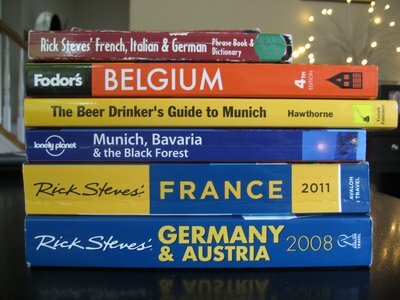 We've chosen the following guidebooks to bring along. I know it seems like a lot. I'm probably going to tear apart the Rick Steves Germany book and only take the relevant chapters. 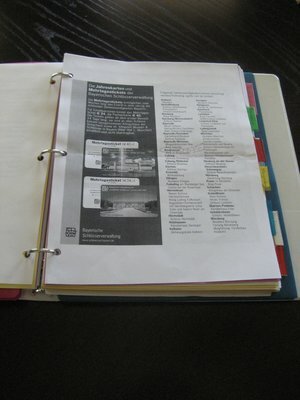 We'll also bring along a D-Day book to read about the Normandy invasion. I'm a reader so a couple novels and books for work will come along. 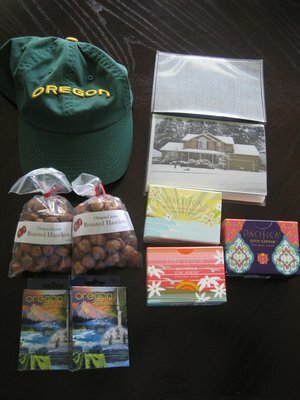 A good friend recommended we bring a few Oregon-made items along. If we meet someone particularly friendly and helpful, we can give a small gift of appreciation. I hope to add a few more things to this pile before we leave. You'll also see a small photo album. This contains pictures from Oregon. If people we meet want to see where we are from or we are feeling homesick, we can have a visual reminder. This next photo is a few random things that might make life easier. Starbucks Via might fulfill our American coffee need in a pinch! I am looking forward to European espresso and cappuccinos. But in case it's not available.... The collapsible cooler will help with our picnics - which will happen often. We've read that packable grocery bags are handy. The battery-operated votive candles will be makeshift nightlights in case we stay in a place with dark bathrooms. 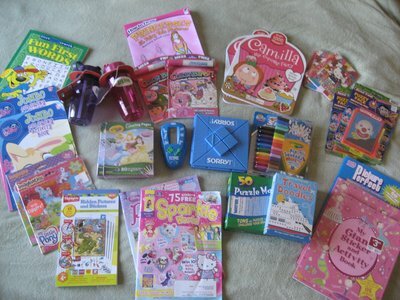 These are mostly for the kids. Naturally, electrical adapters are necessary in Europe. 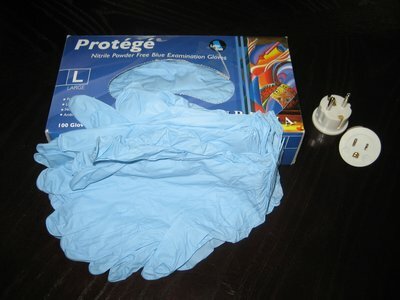 The nitrile gloves are all for my DH. He has heard repeatedly that diesel pumps at filling stations can make quite a mess and people often wear gloves when refueling. Not pictured will be items like music on MP3 sticks, zip-locs, rubber bands, baby wipes, packable duffel bag (for items we purchase abroad), etc... Despite all that we're bringing, I do hope to purchase some necessities in Europe. For instance, I'm planning to buy shampoo, soap, toothpaste, laundry detergent, and other toiletries while on the road. I think it will be intersting to try some non-American brands. If you're still reading this boring post, bravo! You are a true friend. I have a feeling that the blog posts when we are actually in Europe will be far more interesting!